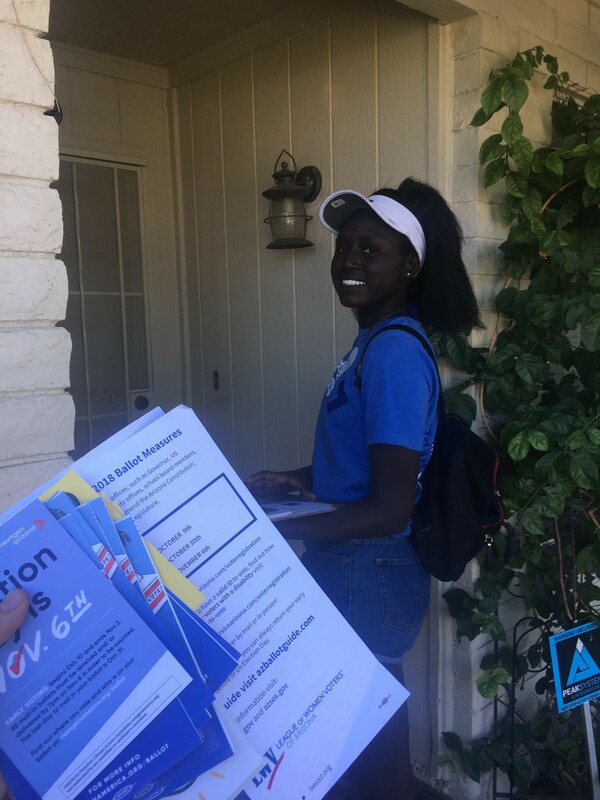 NextGen Arizona's team of youth organizers have been working hard everyday to ensure that every person they have spoken to is knowledgable on the candidates and have a voting plan. NextGen, a liberal political group, is working to get out the youth vote by giving rides to the polls from the University of Arizona campus on Nov. 6 on a “party bus”. Rides will be going from 9 a.m. to 7 p.m. and pick up will be at the Sixth Street Garage with drop off at the polling station on Donna R. Liggins Neighborhood Center. The NextGen Arizona team has been working hard all election season to show youth that their vote matters. They work to ensure that every person they have spoken to has a voting plan and information on the candidates. 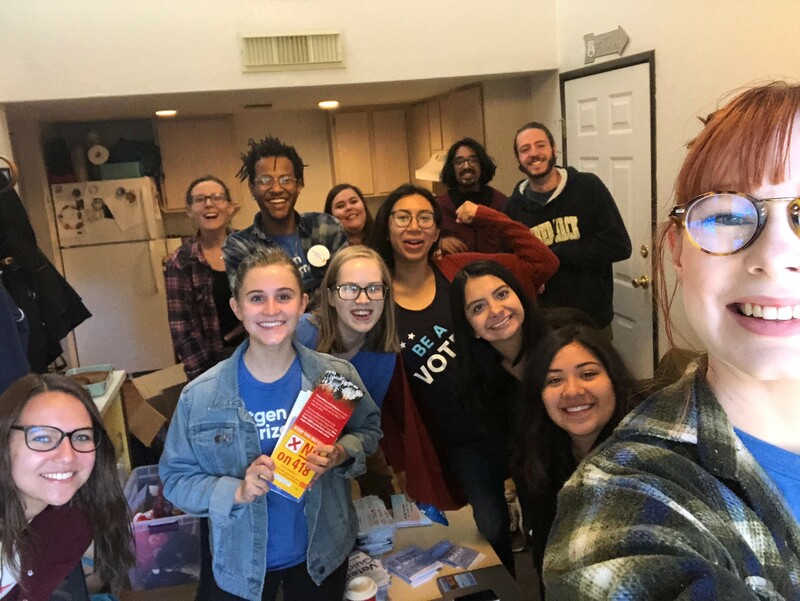 NextGen Arizona has recruited over 1,000 volunteer shifts to get young voters to vote for midterm elections. NextGen America is making a change across 11 states on nearly 420 college campuses to help young people resist current government views and policies and take matter into their own hands. "We have been in the community for months now working on removing roadblocks to young people voting this November 6th. This is just another effort in ensuring we have the highest youth vote turn out possible,” says Belen Sisa AZ State Media Manager of NextGen America. NextGen hopes to be a leading example for future campaigns and the future of the Democratic Party.